"Bring the kid out in you!" ​When families go on vacation, they intend to bond and create lasting memories. It can also be a struggle to find activities that both children and parents will enjoy. 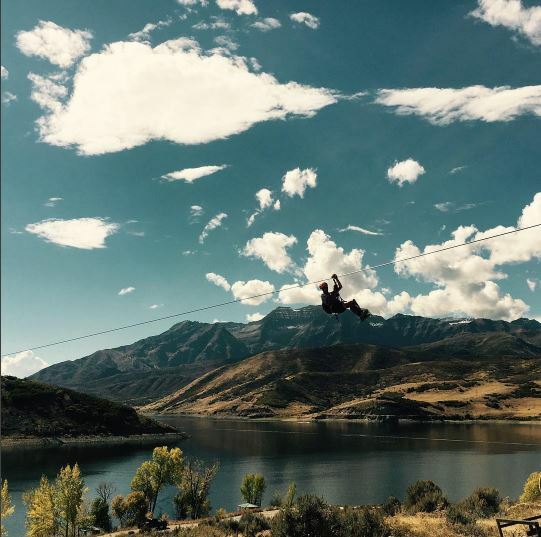 At Zipline Utah we’ve got fun for everyone! When you join us for your next adventure, you’ll leave with memories to cherish and stories to tell that will last a lifetime! Just imagine your entire family flying like birds on the world’s longest zipline over water! Whether you’re new to ziplining or have been in the past, we’re confident you’ll love the adventures we have waiting for you. 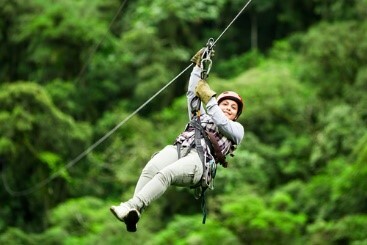 Each zipline tour gives you the opportunity to see something new. We take pride and specialize in providing superior services at Zipline Utah. We’ll go the extra mile to provide you, friends, family, and all other "zipliners" extra value as you spend time with us. So, no matter your age or experience, come see us and we’ll do our best to bring the kid out in you! Create Your Own Backyard Fun! One of the best things you'll ever experience is feeling air in your face as your glide through the sky. Now, it's easy to create your own zipline and experience a fun, safe, and satisfying thrill in your own backyard. Setting up a zipline is safe if set up appropriately. Even with expertconsultation and help, it is important to use common sense during the entire process. Taking extra time during zipline setup will create a safer experience for years to come. The idea of a zipline is great, but you also want to take time to assess the entire area and ensure you have enough room. With easy access to the internet an "How To" videos, it is still a good idea to utilize a professional. 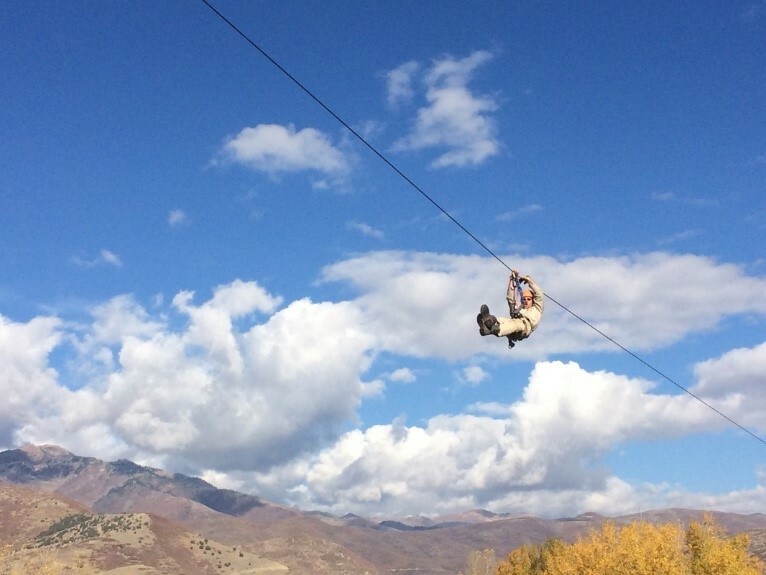 You're in luck... At Zipline Utah we have been building ziplines for over 20 years! We've heard many stories about failed backyard zipline attempts and want to be a resource to prevent that. We can help design and build your zipline that is safe for the entire family and also meets specific guidelines. ​You might be a person who thinks once you have done something once you don’t need to do it again. Well, having that idea when it comes to zip lining is completely off. One of the great things about zip lining is every time you go you can have a different experience. This is because zip lining can be done in so many different environments and each season offers different views. 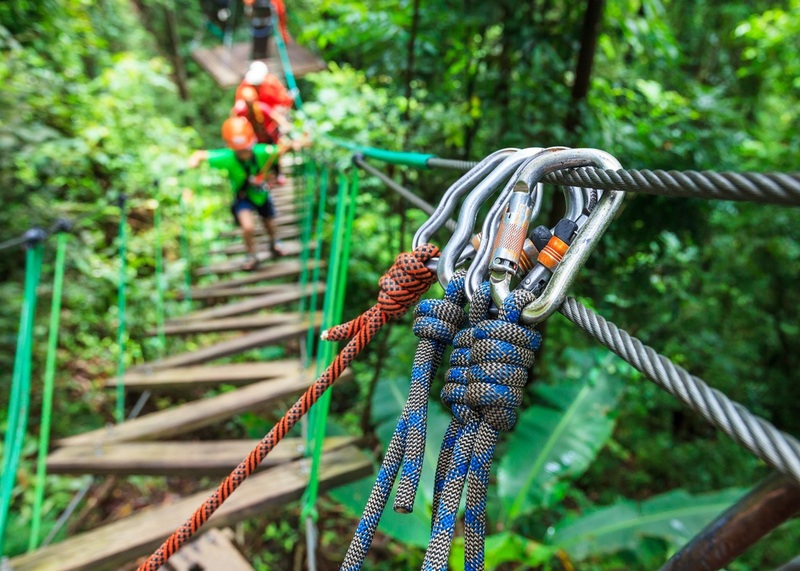 Most people probably think of zip lining in the rain forest or amazon. While this is one place you can zip line it is not the only place and the things you see there you won’t see in other places. The rain forest offers all kinds of colorful birds and a lot of nature sounds that you may not get in other places. That is one reason while that area is unique. Other areas also offer their own unique things. Another spot you can zip line is underground in a cave or old mine. By zip lining here you can see the earth in a way you normally wouldn’t by seeing it from under the surface. Zip lining in a cave allows you to see bats or other animals that don’t come out during the day. It is also a lot cooler location temperature wise which makes for a different feel. On the complete opposite spectrum for temperature you can zip line in the desert. This allows for you to see sand and rock cliffs. The colors are a lot different when zip lining over the desert. They are more reds, browns, and grays then the green that the rain forest or valleys provide. The animals you see in the desert are also a lot different. Due to the fact that there are so many places to zip line and the fact that they are all different means you shouldn’t just zip line once. You can find zip line locations all over the United States and multiple countries and you can have different experiences at each one. For example if you are in Utah you can go to Zipline Utah and see lovely green forest land that you glide over as well as lovely water scenes. There is a lot of natural wildlife for you to see too. Even if you have already been to Zipline Utah with your family you can always go back during a different time of year and have a completely different experience. 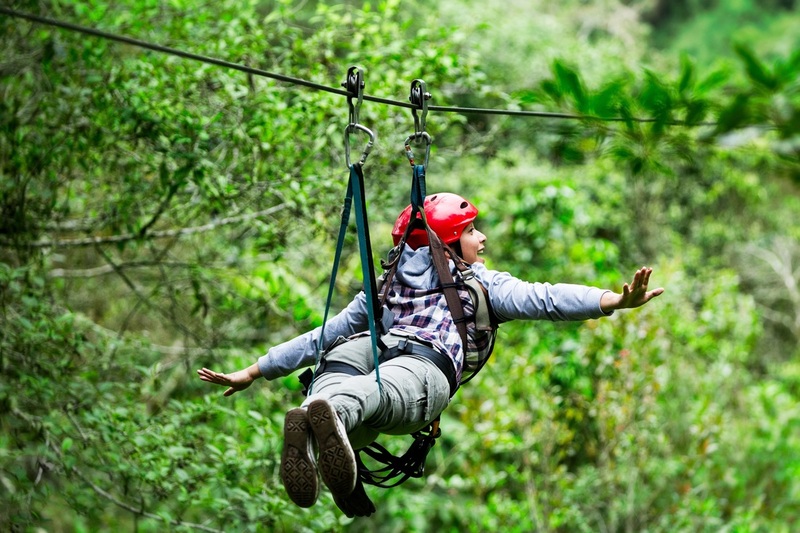 Zip lining and being in nature is a great experience that you will fall in love with the first time you do it and will want to go again and again.